Discussion in 'EmpireTech Andy' started by EMPIRETECANDY, Apr 7, 2019. Here is the new firmware based on Jan one. IPC-HDW4231EM-AS/ASE, IPC-HDBW4231F-AS, IPC-HDBW4231E-AS/ASE , IPC-HFW4231S,IPC-HFW4231E-S/SE. I already invite @jmcu to make a testing, he will post his review here soon. Will have some other models new firmware too, i will release when i tested. n4gry, weigle2, spankdog and 3 others like this. I have received a batch of cameras for customers from Andy last week and they all had 2.800.0000002.0.R, Build Date: 2019-01-11. I have updated all of them to V2.800.0000005.0.R.19-03-25 and have not seen any issues over the past few days. Day/night works good..stability seems good, no plugins required for IE or Chrome and even works on Edge browser if you use that, RTMP is also there. Did not test BI or push notifications or I did not set cameras to default prior or post updating. I did have to clear cache to avoid the browser plugin required from showing up and the update seem to go much slower than usual. n4gry, aristobrat, awsum140 and 2 others like this. @jmcu Based on that review, I'll be updating a 5231R-Z and a couple of 4231EM-ASEs later this evening. A few days is not really not enough time to evaluate them, but for me the stability issue would be worth it. 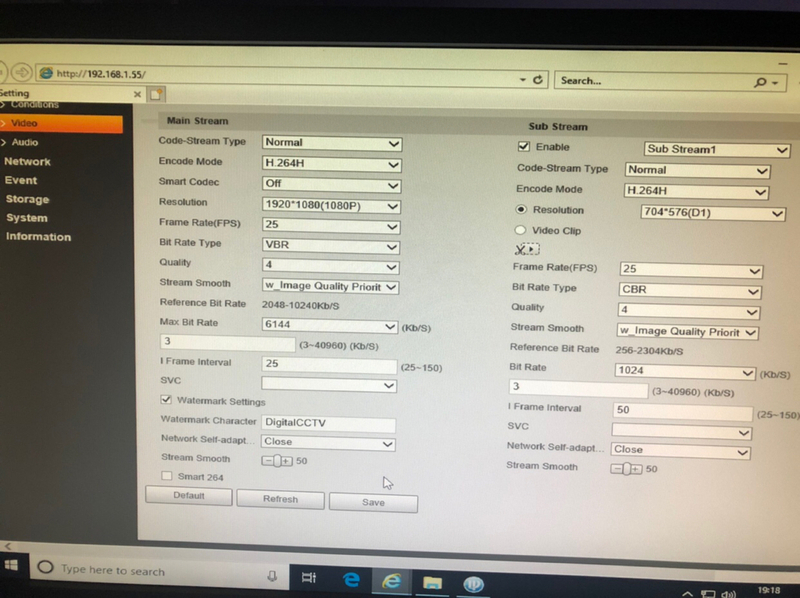 I can't install the cams and have them randomly restarting on customers..
looney2ns and awsum140 like this. I'm anxious for the lack of a plug in being needed. That is becoming a PITA. Plu, I can always revert back if it blows up (I hope anyway). Just updated a 5231rz, no issues to report as yet. EMPIRETECANDY, awsum140 and jmcu like this. Maybe a minor issue, RTMP is no longer working with Youtube. It worked in the Dec firmware, although apparently would crash after 4-6 hrs of streaming. I hit "like" to acknowledge that, but don't really like it. YouTube is one platform that actually can be useful. Interesting, going to test it on my internal RTMP proxy too! Applied it to the 5231R-Z and the 4231EM-ASEs. Everything seems fine, but it's only been about a half hour so far. It sure is nice to be able to access them using Opera rather than opening Pale Moon. Thanks @looney2ns The Dec firmware i will not delete, can easy use back the Dec firmware. Just upgraded one of my IPC-HDW4231EMP-ASE cameras to V2.800.0000005.0.R, Build Date: 2019-03-25. It appears that auto Day/Night profile switching is included in this release. looney2ns, weigle2, jmcu and 6 others like this. jmcu and awsum140 like this. I just updated it. Seems to be working. I will post an update in a few days. Updated my cams to this firmware and all went well except for the very last cam. The update went on ok but when I logon i get this dialog and the video settings page looks very different to other cams. Tried restarting the cam and set to defaults etc. but then ran out of time as my neighbour had problems with his electrics so went to give him a hand. Anybody have any ideas or clues? Try emptying your browser cache and log back in. I am not sure yet but it doesn't seem that my cameras IVS settings is in sync with the NVR's IVS setting. Also, I checked to record when event is triggered but when I got alerts today, none of the recording was available so after I got home and logged in. The IVS recording setting was unchecked. I could had sworn I checked and saved it but maybe not. This time it is checked and saved for sure so I will find out on the next event. I actually came back quite late and did a CTRL+F5 and which did a 'hard' refresh and that cleared the problem, so all is good. 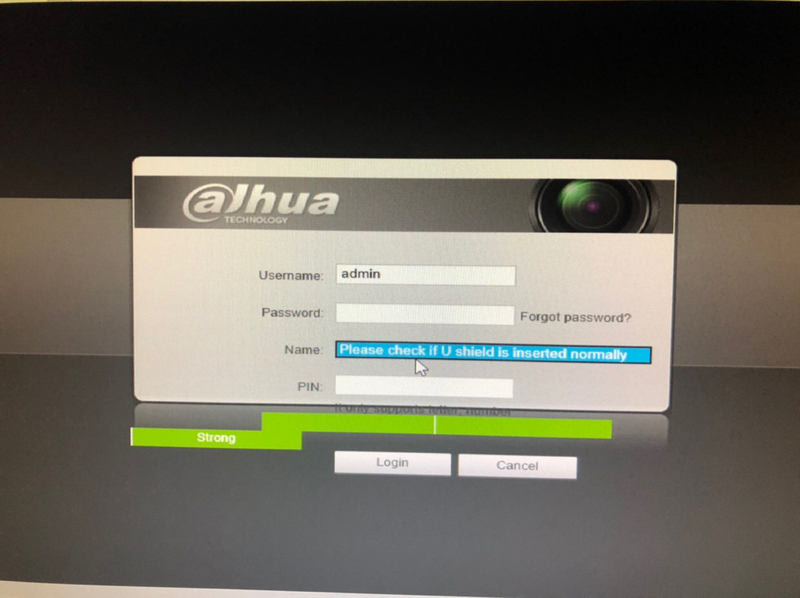 The Dahua International site still shows firmware dated 11/10/2017 for the 4231EM-ASE. The Day/Night profile switching, along with security fixes and SD Card fixes, are really appreciated. looney2ns, cstout, EMPIRETECANDY and 1 other person like this. They have really been behind in updating their site for some time with all the firmware.